Without a doubt, career is a huge and an important part in everyone’s life, whether you are a fresh graduated or have been through a numerous of jobs. For most of us, a career will take up somewhere between 20% and 60% of your meaningful adult time and also has a major effect on all the non-career parts as well. Because of that, in feng shui, your career is believed to integral to your life’s journey, and you can apply feng shui tips to strengthen the flow of energy in your career. When talking about Feng shui application that helps you improve your life, one of the most vital things to know is Feng shui bagua. Feng shui bagua (also called ba-gua or pakua) is one of the main tools used in feng shui to analyze the energy of any given space, be it home, office, or garden. 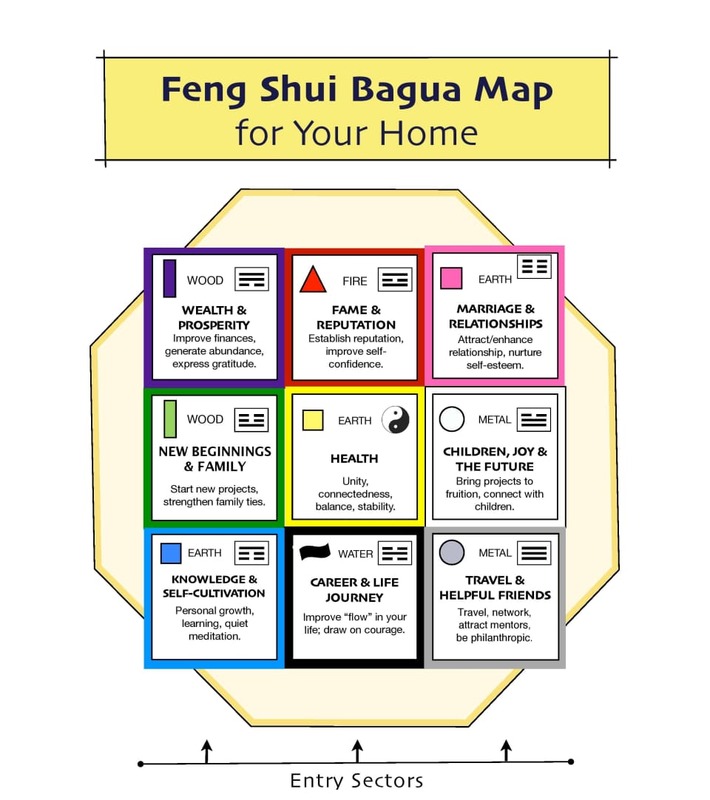 Bagua is the feng shui energy map of your space that shows you which areas of your home or office are connected to specific areas of your life. Translated from Chinese, bagua literally means "8 areas." These areas correspond to the most important areas of one's life, the areas that matter the most for one's health and happiness. However, in this particular article, we will discuss the “career area”. In feng shui, specific bagua areas are connected to specific areas of your life. As you can from the map, there is a specific area in your home and office that is responsible for the flow of good energy to all your career endeavors which is North. The original name of this bagua area is Path in Life; in modern times we translate is at Career. Thus, it is a must to optimize all areas in the location to encourage luck and chi. The room must contain all the necessary elements that complement and attracts energy in the place. 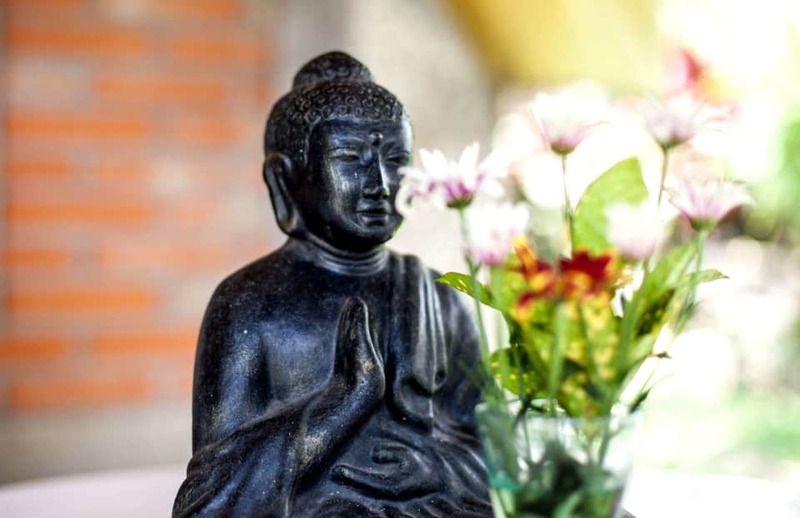 You can activate the North bagua area of your home and office with items connected to your present career or a new career you are dreaming of. 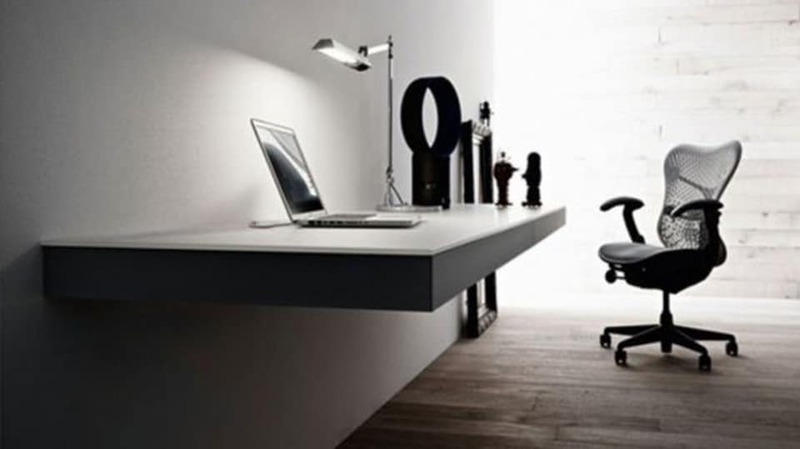 However, your career area is not the only area of your home that relates to your career. There are more factors you have to consider. It isn’t ever just a simple “this problem means to fix this corner” answer, as our lives are multidimensional and integrated. Beside the North direction that mainly responsible for your career path, activating other directions in the bagua such as Northeast (NE) and Northwest (NW) is a way to get into the industry you wish to be of service. As you can see, the Northeast is an area for your Knowledge and Self- Cultivation, while the Northwest covers Travel and Helping People. So for example, if you are lacking clients for your business, besides the Career area you also need to pay attention to the “helpful people” area (NW) as well. In feng shui, black color belongs to the element of Water, direction North, and it is the color of Yin, or feminine, passive energy in the feng shui Yin-Yang combination. 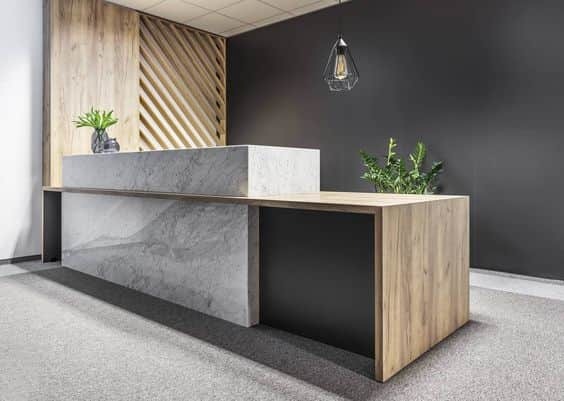 Being a Water feng shui element color, black can be a powerful feng shui cure to use in the North area of your space to attract career opportunities. You could have one feature wall in elegant black color for your North bagua area or paint the walls in any blue color tones. These are 2 colors directly associated with Water element. However, your focus on color is also a personal situation. The bagua above is a rough sketch for you, but you can resonate yours personally with the color choices. Choose colors that give you energy and relate to you as you see your career. For example, if you are in need of focus, grey or white (Metal element) are great colors for focus for many people. If you need to enhance confidence and start new projects, blue is typically a great color. Just try to avoid bringing Fire element into the scene. 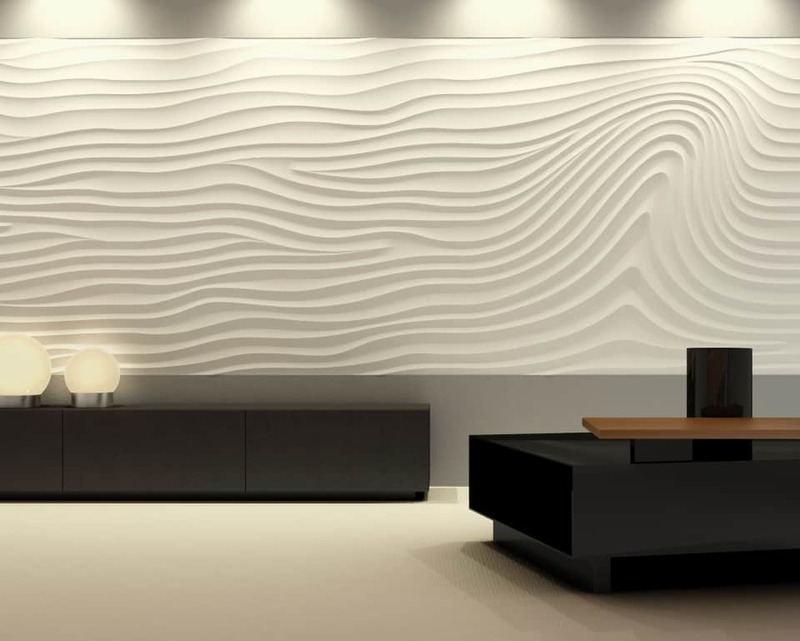 Wavy shapes give you the energy from Water, as they resemble water movement. 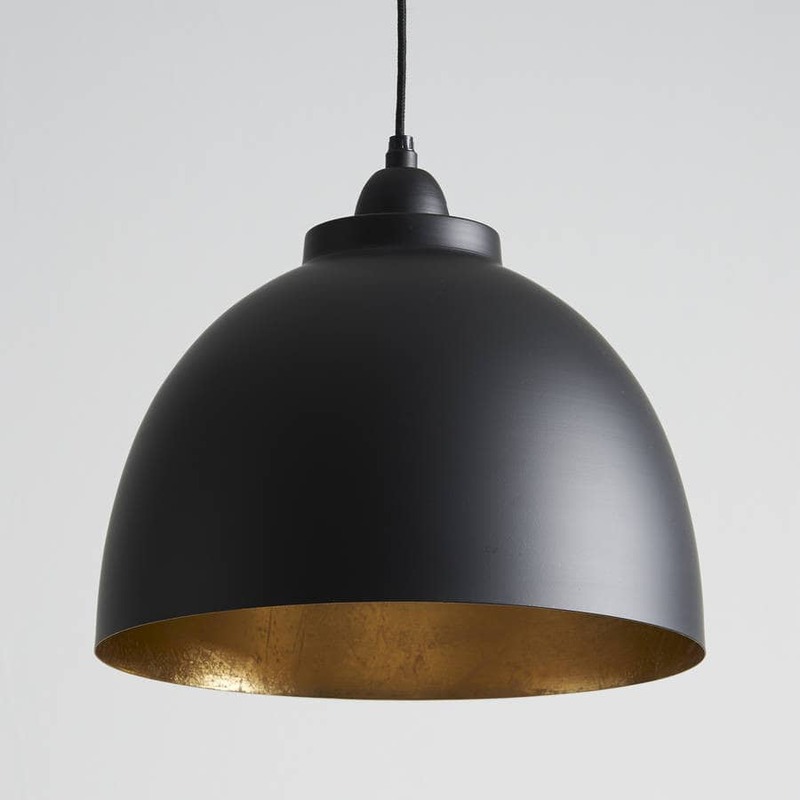 You can also choose round and oval shapes as they belong to Metal element, which nourishes Water. Avoid squares and triangles. For materials, go with metal, glass, and mirror-like surfaces. Avoid a strong presence of wood furniture pieces and decor items. There are usually 2 or more elements in one object and this can confuse you. Generally, when you have difficulty defining the feng shui element of a specific decor item, the color of the item will be used as the first criteria. Second, comes the shape, and then the material from which the item is made. The feng shui element of the North/Career bagua area is Water, so the cures you will bring have to be either of the Water element or the feng shui element that nourishes it (Metal element nourishes the Water one). There is no better way to bring the energy of water feng shui element than with an actual water feature, such as fountains and fish tanks. 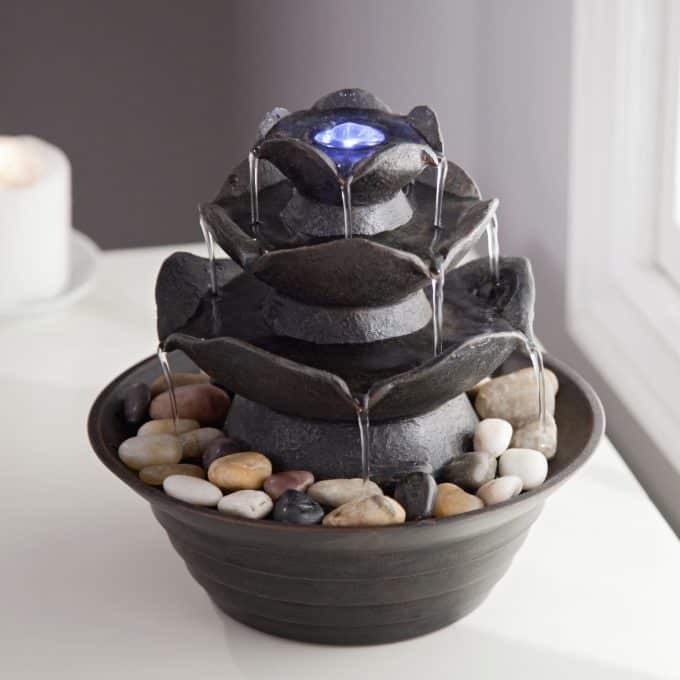 A good feng shui fountain will not only create better energy in your space and encourages the chi in the North; it will also calm and refresh your own energy. Be mindful of proportions and choose a fountain that has a prominent presence in your North/Career bagua area. If you plan to include a water feature in the area, make sure the liquid flows freely. The water should continue to run and maintain its transparency, must be calm and free of dirt. Try to avoid stagnant or sitting pools of water. Instead, consider fountains that have a flowing water system or even a fish tank that has moving currents. Besides that, you can also add items with water-like qualities such as mirrors and things in blue and black represent water. For pictures, black and white photos are excellent here as they bring the energy of Metal and Water feng shui elements. Like they always said: “See Success To Attract Success”. 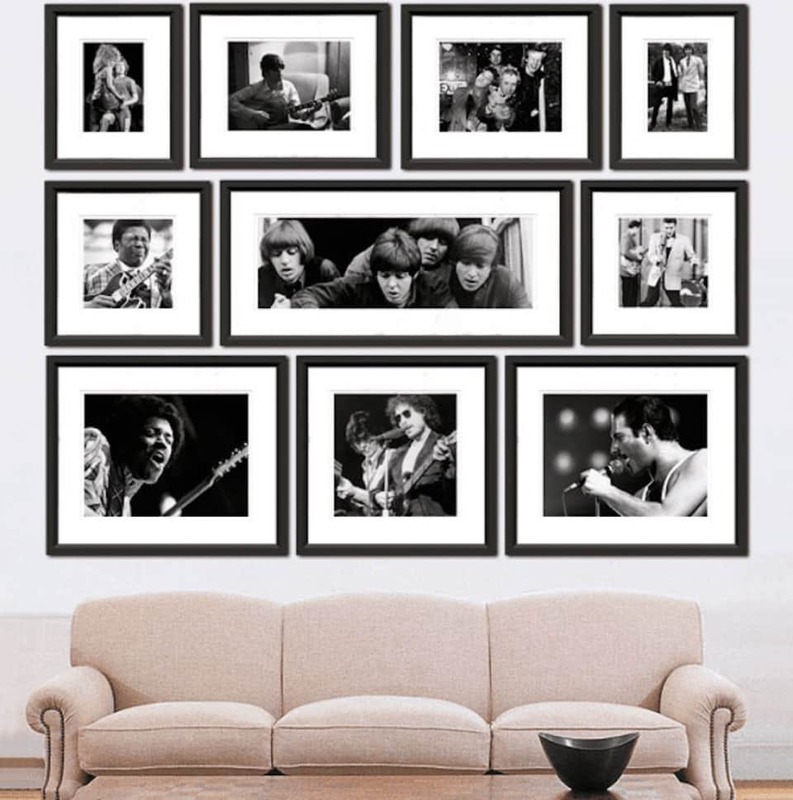 Images in black and white of people you admire in your professional field or in the field you would like to explore as a future career is a great option. Vision boards and collages with images, quotes, and affirmations relating to the ideal career you want to bring in or the job or promotion you are looking for will help you generate more energy. 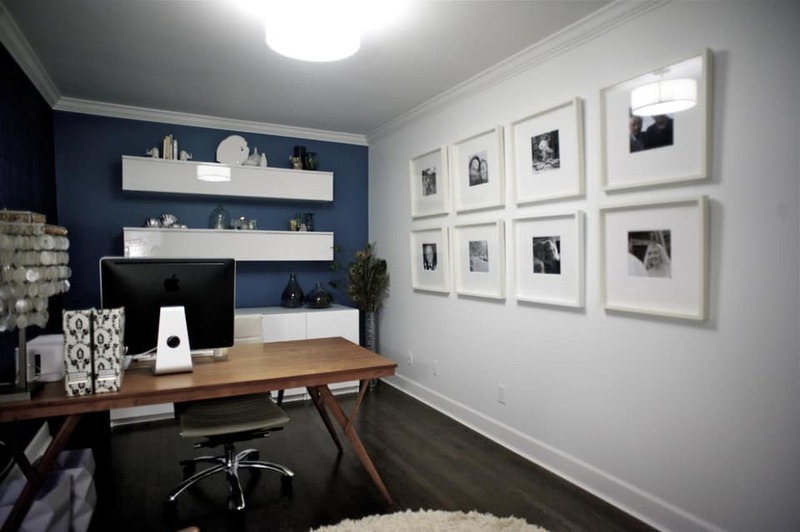 Be sure the art/photos are positioned beautifully with a lot of breathing room and are not too small; you want them to have a strong presence. It’s much better to stick with one theme or occupation for the chi to take effect. This is a symbol of good luck and fortune. It is great for career and money. You can go with a black image or sculpture of Buddha. Mirrors are one of the most popular and powerful feng shui cures. 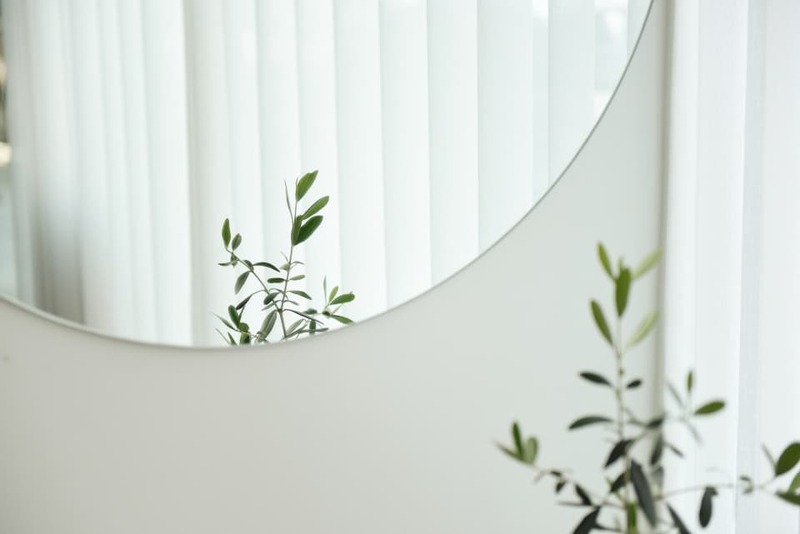 Used as an expression of the Water feng shui element, the right placement of mirrors can really bring beneficial energy to specific areas of your home or office. Mirrors are also used to expand a space and create more light. In addition, because mirrors are the perfect representation of the Water feng shui element, they always bring the energy of refreshment and calm into any space. In other words, if you live or work in a highly stressful environment, a strategic feng shui placement of mirrors will sure calm its energy. 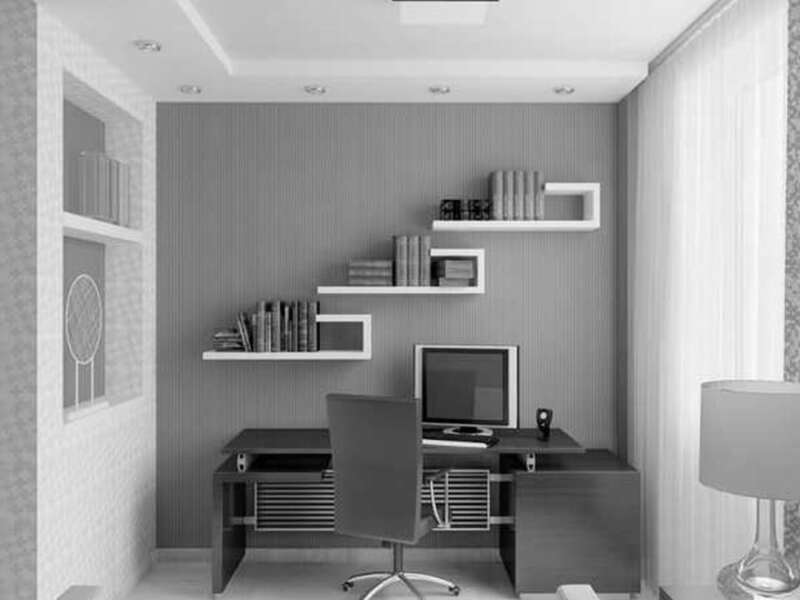 A big mirror, ideally round or oval in a metal frame is good for Career Area. 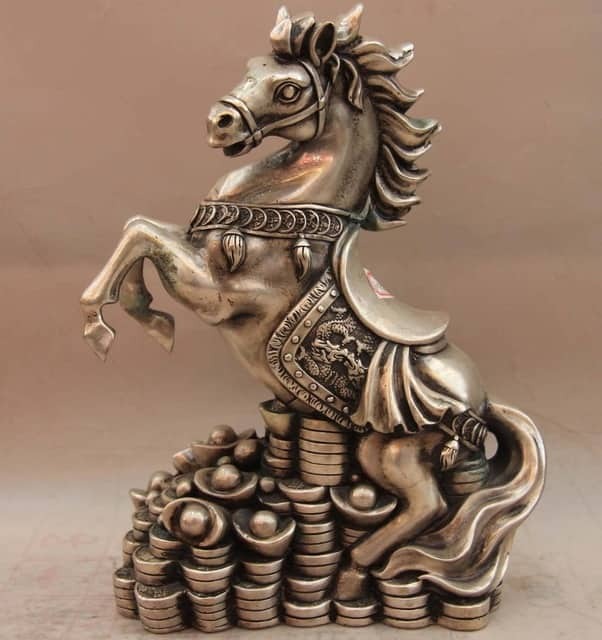 In classical feng shui applications, the horse brings the energy of success, fame, freedom, and speed. It is best that you place the horse in the “running back to the room” direction as it means that you have succeeded. 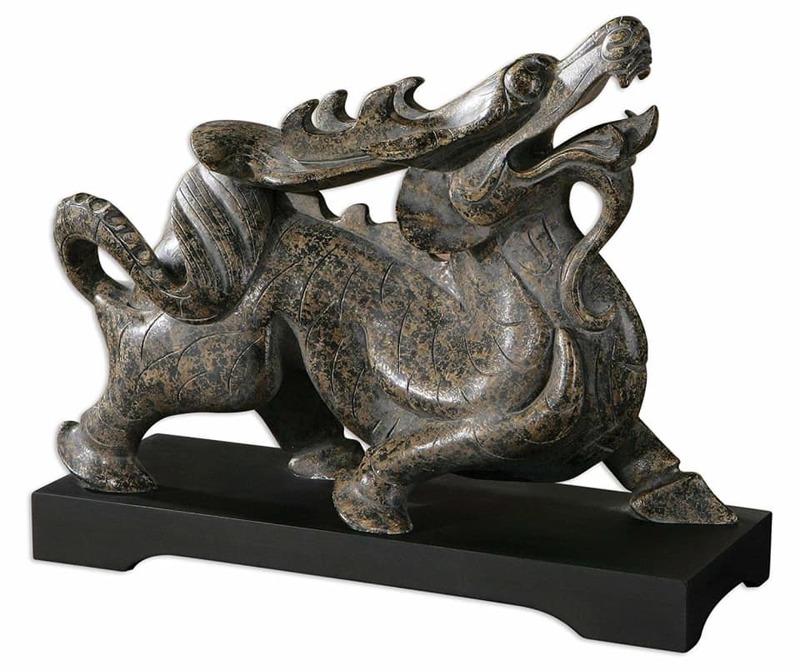 Feng shui dragon: The dragon is very powerful and auspicious in traditional feng shui. It symbolizes strong male energy or yang. The dragon claw is a symbol of wealth, power and a source of opportunities. A pearl or crystal featured on a dragon’s claw indicate wealth, power and myriad of opportunities. But because the dragon represents yang, you should consider choosing the statue in black (Water element) to balance it out. 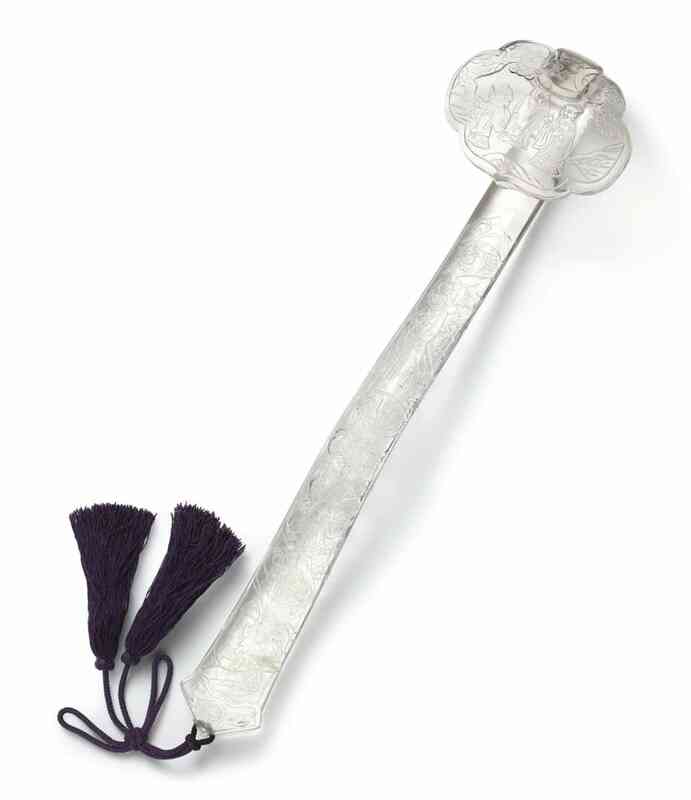 The crystal Ruyi is a scepter of power. Those in supervisory or leadership position should place this in their Northwest sector to energize their Feng Shui Mentor Luck. This will enhance your leadership skills and the way you lead others to success. 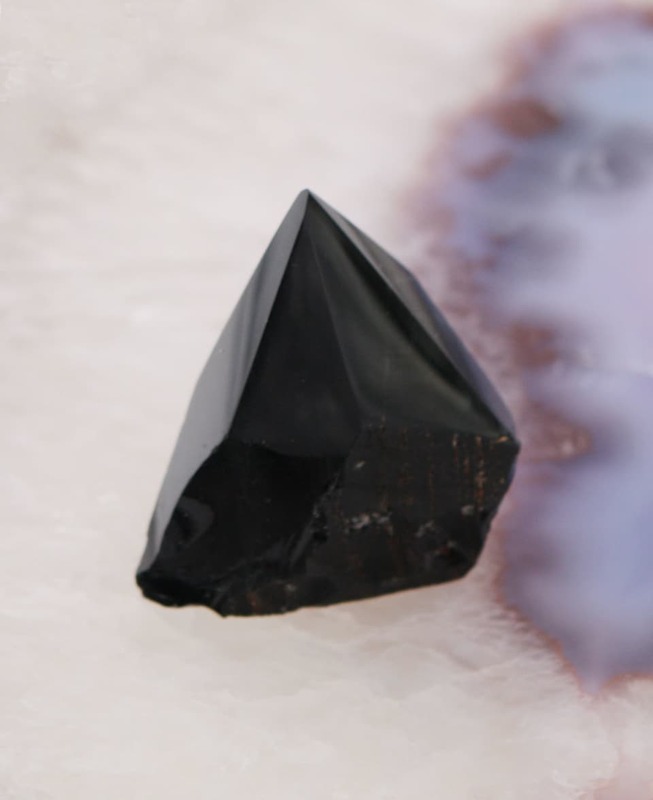 Feng shui-wise, black obsidian is an excellent feng shui cure for the North bagua area—the area connected to the energy of Career and Path in Life. The energy of black obsidian not only provides the water quality feng shui element energy needed in the North area but also offers protection as well as clears the obstacles in one's life path. You can use a bowl of tumbled black obsidian stones in a glass bowl, or go for a small black obsidian sphere. There are also many feng shui carvings made of obsidian that you can explore from animal to spirit carvings—be mindful to bring only the symbols you like and can associate with. 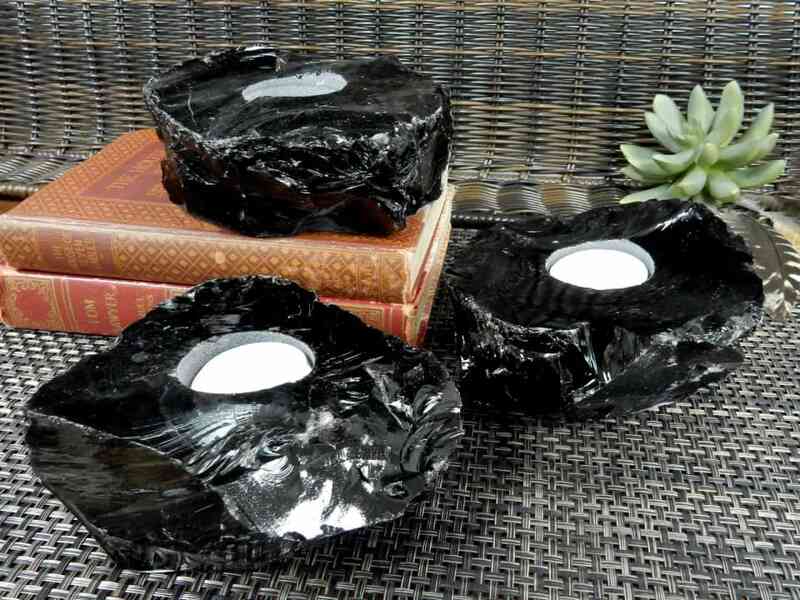 Because the black obsidian draws in negative energy, be sure to cleanse it regularly as well as take good care of its physical surroundings. Do not place the black obsidian on the floor or anywhere else where it can get neglected. Lights are good feng shui for any a area. 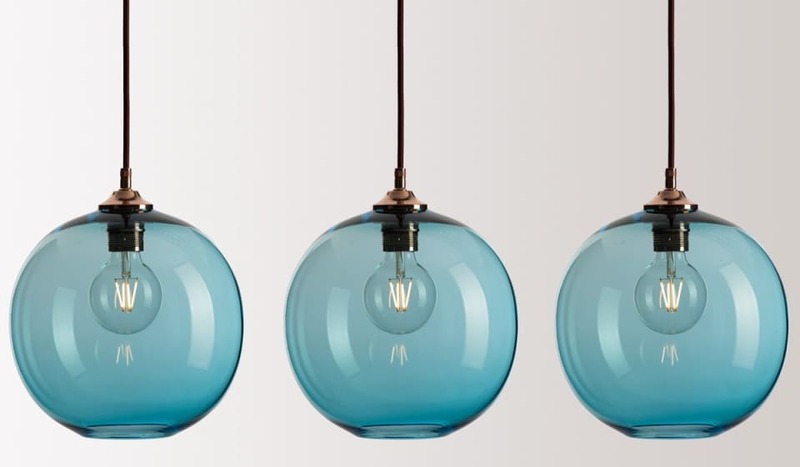 You can go for any size in your lighting fixtures when using them as a feng shui cure. If you wish to include other home decorations and fixtures, you may use tall lamps and towering sculptures. Stick to white and gray color schemes to avoid any encounter with Water and Fire elements. bagua area. You can go for any size in your lighting fixtures when using them as a feng shui cure. If you wish to include other home decorations and fixtures, you may use tall lamps and towering sculptures. Stick to white and gray color schemes to avoid any encounter with Water and Fire elements. However, be sure that the size, look and overall design of your light fixture will work well with the design of your room and will fit harmoniously with your surroundings. Besides these tips, it’s also helpful to maintain a clutter-free and organized Career area. Neat and well-balanced rooms allow life forces to spread in the area and flow without restrictions. When energy is fresh and abundant, your inner chi also benefits from it. When you allow every single day to become a fresh new beginning, you will start attracting powerful energy: Strong energy to nourish every area of your life, not just your career. Ultimately, we want a successful career in order to feel a sense of completion or purpose to our life, which actually goes much deeper than just success in your chosen field. Clutter is the cuts the circulation of life force which cuts off your supply of vigor. Most of all, it is a chi-repellant. It dims the light in the area which can cloud your vision and goals. Therefore, minimize junk and organize crevices and nooks as much as possible. Clear clutter, move the objects around, and start each day with a clean desk—it's the simple things and the often overlooked details that make the bigger picture of success. 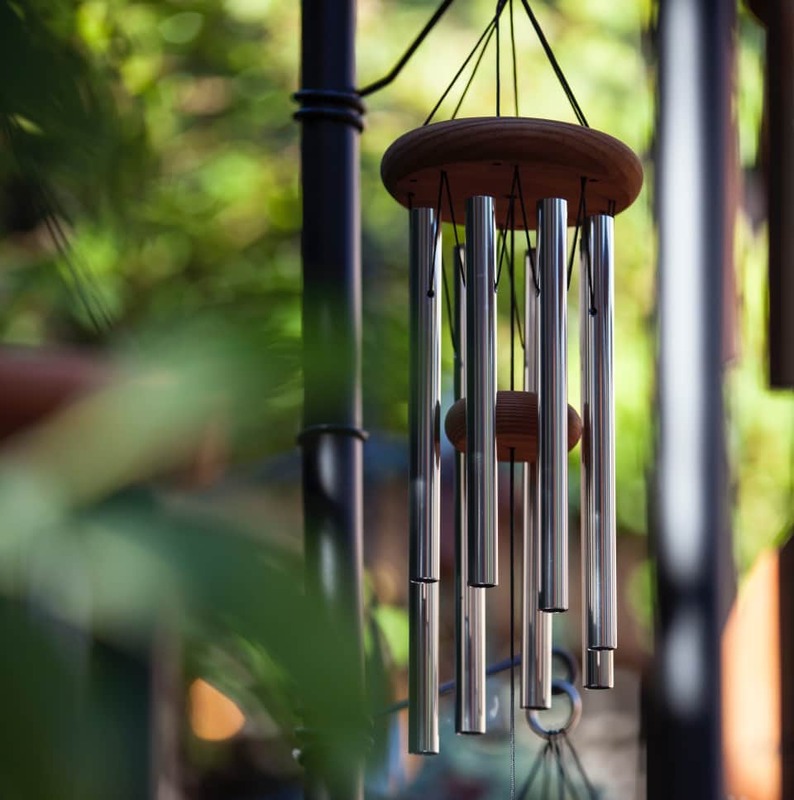 You can include a wind chime or a bell effectively attracts energy to enter the openings of your home. As much as possible, leave the door open each day for new chi to come to the house and the old to retire the space. Hope you could try to incorporate these tips into your living space; the energy and feng shui balance will help to improve your career path.